Using a wellbeing approach in climate adaptation efforts helps to humanise adaptation debates, making them less technocratic and scientific. 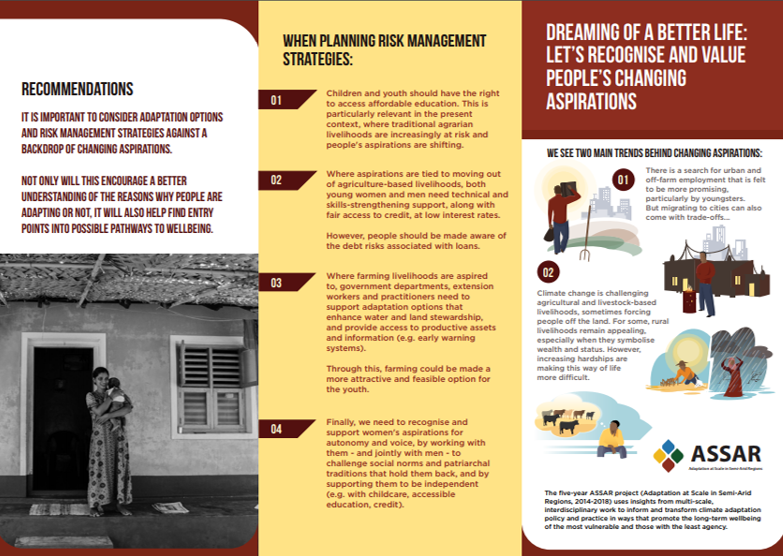 The approach focuses on the links between human needs and aspirations; the different resources and capacities people have; and how these shape livelihood choices, satisfaction with life, and resilience. It recognises that people’s capacity to engage in adaptation action, and the types of action they can engage in, varies within communities and households. All these factors coalesce to have implications for equity and inclusion. 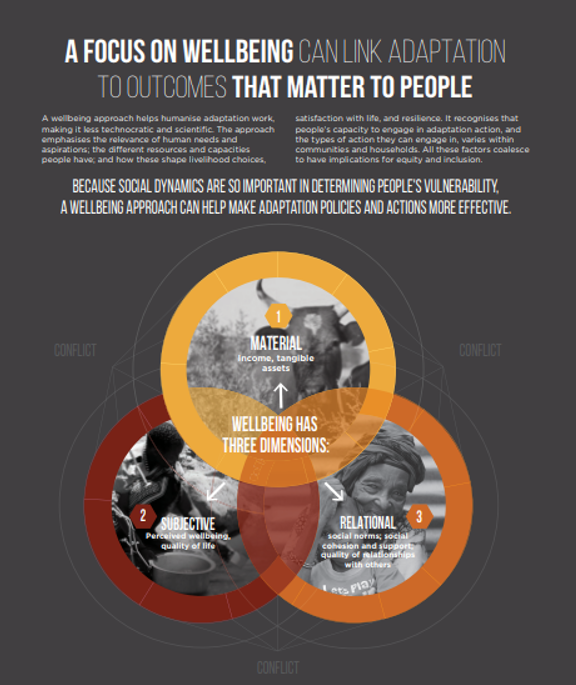 A wellbeing approach is critical for designing policies that respond to the many ways in which social dynamics lead to different levels of vulnerability.